Sit back and relax in the Brookville Leather Reclining Loveseat with Console. With power head rests & foot rests, cupholders and a USB charging socket, the Brookville Power Console Loveseat is sure to be the best seat in the house. The Brookville Leather Reclining Console Loveseat With Power Head and Foot by Bassett at Great American Home Store in the Memphis, TN, Southaven, MS area. Product availability may vary. Contact us for the most current availability on this product. 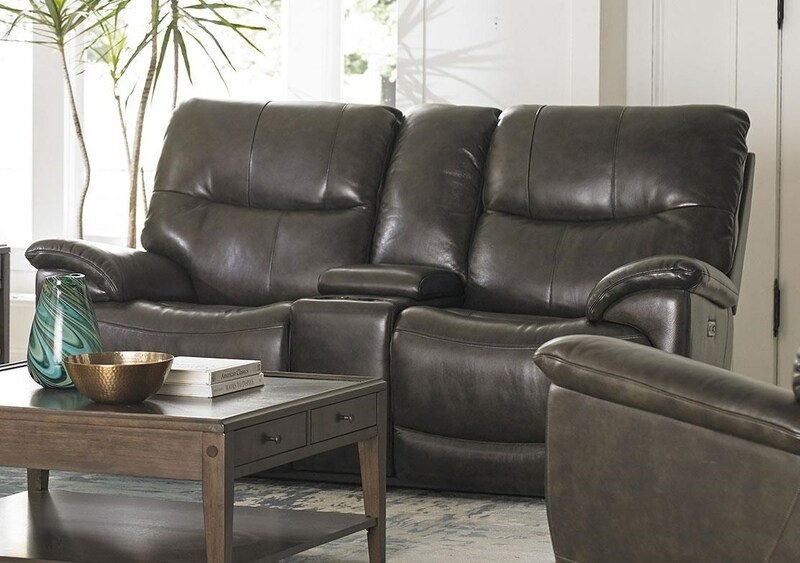 Sit back and relax in the Brookville Leather Reclining collection. With power head rests & foot rests, cupholders and a USB charging socket, the Brookville Power collection is sure to be the best seat in the house. The Brookville collection is a great option if you are looking for furniture in the Memphis, TN, Southaven, MS area. Browse other items in the Brookville collection from Great American Home Store in the Memphis, TN, Southaven, MS area.